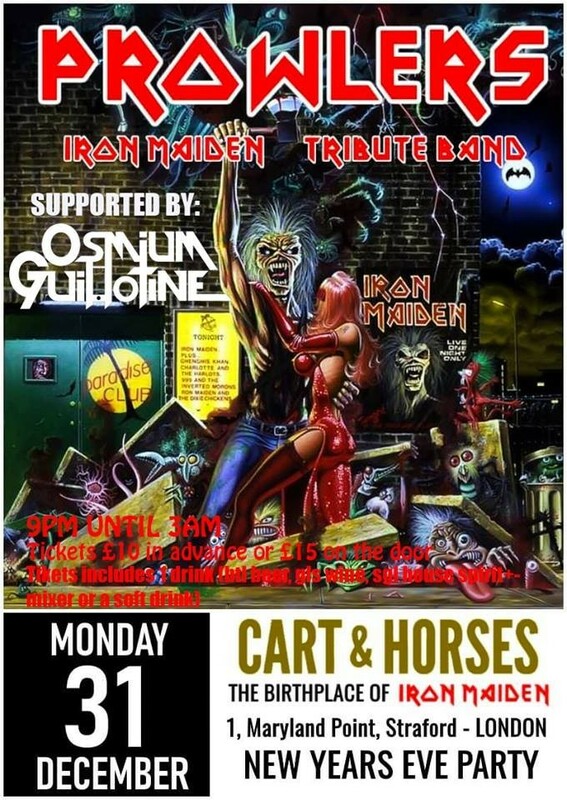 PROWLERS Iron Maiden tribute band team up with Osmium Guillotine to make the END of this year and the first HOURS of the 2019 for a night to remember. Tickets are £10 in advance www.wegottickets.com/event/457466 or £15 on the night (The ticket includes 1 drink, Pint or Btl Beer, Gl Wine, Sgl House Spirit + mix or a Soft drink. 9pm until 3am non-stop party.